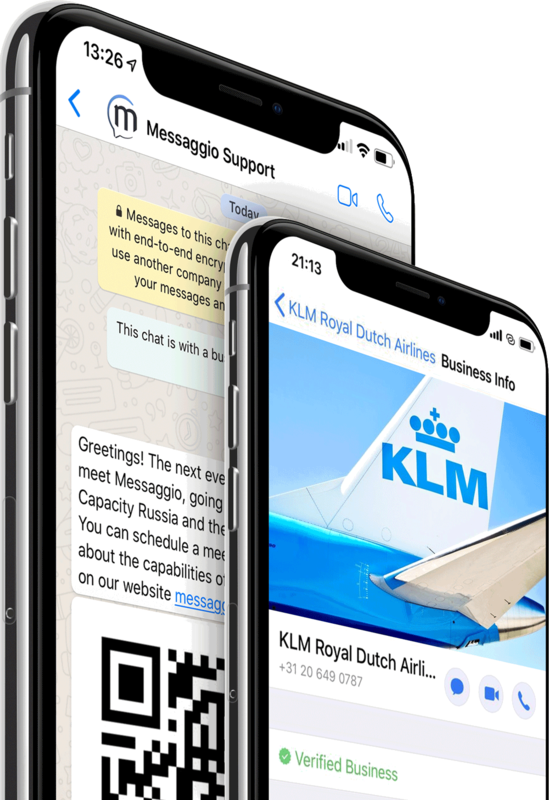 Business messaging in one of the most popular messengers in the world. Improve your customer care and service notifications with WhatsApp! Launch Live WhatsApp demo Try now! Send large text and multimedia content to your customers directly in the WhatsApp messenger. WhatsApp messenger supports native 2way communication channel. Get replies from your users for free! Branded and verified WhatsApp Business Sender ID of your company to send messages around the world. WhatsApp recently opened the messaging API: apply for Business API activation now! Ready to start WhatsApp Business messaging? We are WhatsApp Business API service provider, contact us today and improve your mobile marketing tools by multichannel messaging.